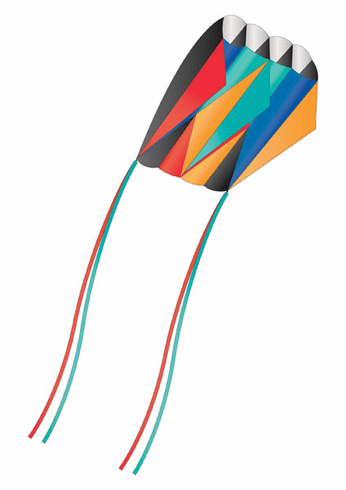 Nylon frameless parafoil kites. No assembly required. Skytails included. No sticks to break. Comes in a nylon carrying case. Great fun to fly!